Ocean Beach Pleasure Park, Sea Road, South Shields, Tyne and Wear, NE33 2LD. If you are staying at our bed and breakfast accommodation in South Shields with children in 2018 then you may be interested in visiting Ocean Beach Pleasure Park which is located at the bottom of our street. 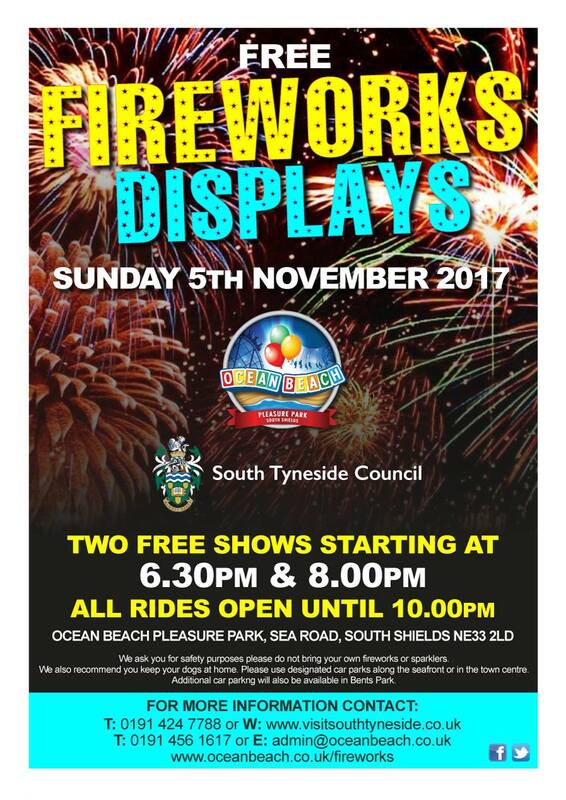 If you are staying with us on Sunday 5th November then you may like to watch two free firework displays at Ocean Beach Pleasure Park. Ocean Beach Pleasure Park is just a few minutes walk down the street from us. The first free display takes place at 6:30pm with the second at 8pm. Sunday 5th November also marks the last day of Ocean Beach Pleasure Park‘s outdoor season. Rides are open from 12 noon until 10pm. The latest 2017 guide to South Tyneside is out. Request your own free 33 page copy of the guide below. South Tyneside is jam-packed with fun things to do and great places to visit. Plan your next family outing with this handy guide. Haven Point. This state-of-the-art leisure centre on the seafront at South Shields comes complete with two pools, a sauna, a steam room, a gym, two dance studios and a cafe. Oh yeah, and there are some wicked water slides in the leisure waters area, along with a bubble spa and a water play area. Dive in. Jarrow Hall. A fantastic new attraction where little historians can learn more about one of the North East’s most famous names: the Venerable Bede. Animal-lovers will delight in wandering around the farm, meeting pigs, goats and other animals. Marsden Bay. At this beautiful setting, the whole family can clamber among the rock pools and watch the kittiwakes, fulmars, gulls and cormorants of one of England’s most important seabird colonies. The Word. National Centre for the Written Word. One of South Shields’ top attractions, this new, state of-the-art venue is perfect for families – there’s even a whole floor dedicated to children. The library here is home to more than 70,000 books, StoryWorld is an immersive storytelling experience kids will love and 2017 sees the Shiver Me Timbers exhibit come sailing into South Shields, ready to take little landlubbers on a nautical adventure they’ll never forget. Ocean Beach Pleasure Park. A classic seaside funfair full of timeless rides and high-tech attractions. Urban Wave, the only surf simulator of its kind in the country, allows your little beach dudes to try out surfing without getting wet, while the Laser Maze will test your agility to its limits. Can you get across the room without crossing the laser beam? South Marine Park. The crowning jewel of South Shields’ seafront, South Marine Park boasts a miniature steam train, a boating lake and two play areas. In addition, there’s green space, picnic tables, a cafe and, of course, great views of the sea. Just next door, North Marine Park also offers stellar views. South Tyneside has loads more green spaces to enjoy too. 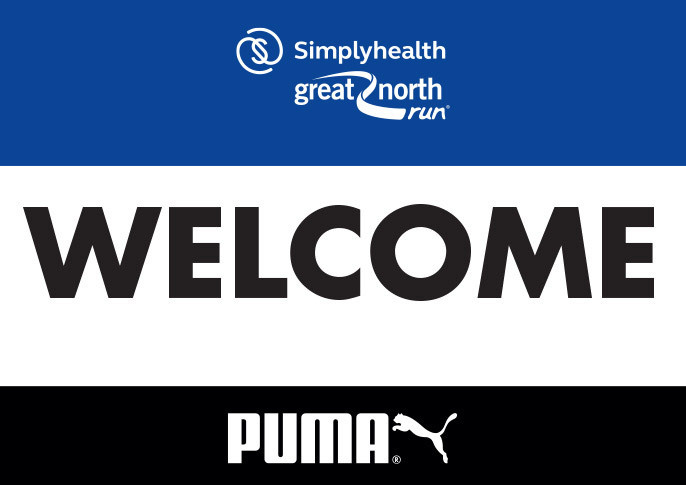 Be sure to check out Cornthwaite Park at Whitburn, Drewetts Park in Jarrow and Tilesheds Nature Reserve in Boldon. South Shields Museum and Arbeia Roman Fort. Discover the history of the area on a day out to this celebration of South Tyneside’s heritage which brings 4,000 years of history to life across two floors and is home to insects and reptiles at Creature Corner. While we’re on the subject of history, don’t forget to explore Arbeia Roman Fort — a key garrison and military supply base to other forts along Hadrian’s Wall. Learn about the area’s Roman history through re-enactments, falconry displays and gladiator battles. The Dunes. Jump into the soft play area, get competitive in the bowling alley, get even more competitive in the arcade, then top it all off with a Sunday lunch. Find this popular entertainment venue on South Shields seafront. The Leas. This two-mile stretch of coastal pathways, laid out along the 250 million-year-old cliffs, will lead you along the stunning shoreline from Sandhaven to Marsden Bay and Souter Lighthouse where inquisitive minds can learn about the smugglers that used to frequent the area. You’ll get some great views of the sea from your vantage point high above the waves, which also makes for a great cycling, dog-walking and kite-flying location. South Shields’ Beaches. 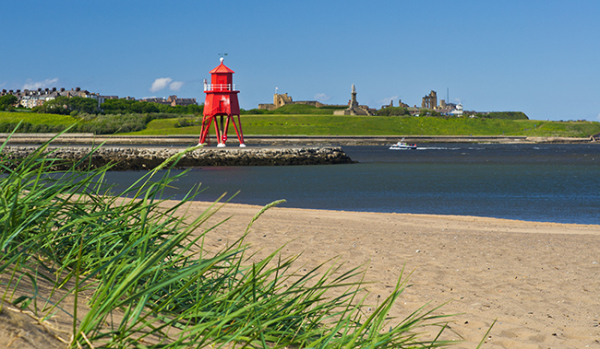 There are some great beaches at South Shields including both Littlehaven and Sandhaven. Water-sport enthusiasts love the shelter that the pier offers at Littlehaven, while Sandhaven is a great spot for building a sandcastle. If you’d rather keep your shoes and socks on though, why not go for a stroll along the promenade? We All Scream for Ice Cream. There’s nothing quite like a day out with an ice cream to round it off. Fortunately, in South Tyneside, we’re pretty much spoilt for choice on spots to pick up a coneful of something creamy. Try Minchella & Co, Scoop and Bean or the Ghiaccio Ice Cream & Dessert Lounge next time you’re out and about. The Shields Ferry. Kids love novel modes of transport, don’t they? Shun the car and jump aboard the Shields Ferry running between North and South Shields. It only takes seven minutes to cross the mighty River Tyne, but the kids will love it. Family Events. 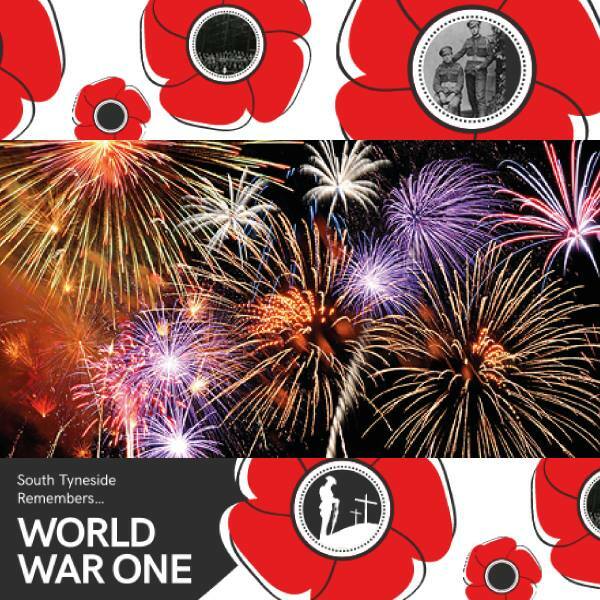 There are plenty of events happening in South Tyneside that the whole family will enjoy. In 2017, the South Tyneside Festival’s summer concerts at Bents Park include acts such as KT Tunstall and Busted, while the Summer Parade will be entitled Once Upon a Time and take its inspiration from classic children’s stories such as Peter Pan and The Jungle Book. During the summer holidays, Kids Fun-Fest will run regularly at the Amphitheatre in South Shields and include performers, entertainers and a gunge tank! 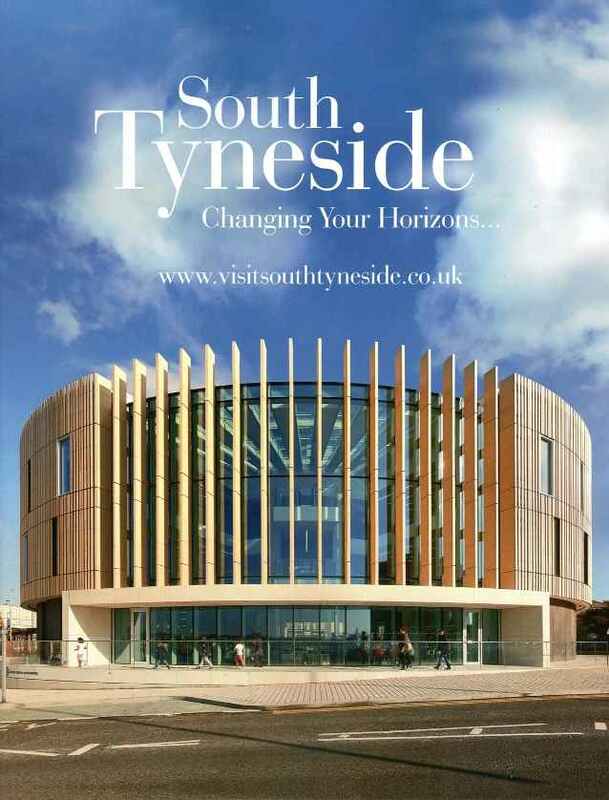 You can read more about South Tyneside in our free 33 page guide. Enter your email below for a free copy.